Everyone gets busy at times. Trust me, I understand, but your cat won’t when their litter box isn’t clean! My sister and her husband were debating about getting one and seeing that they were on the fence about it, I decided to explain more about the benefits of having one to them. They were sold and eventually got one. And well, they now thank me and say they wish they tried one much earlier! 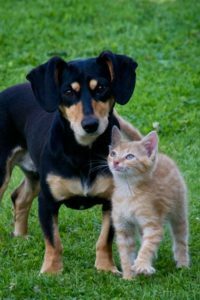 If you’re on the fence too, let me do you the same favor and explain in more detail about the benefits of getting the best automatic litter box and how to choose a good brand. If you’re pressed for time and want to know my #1 recommendation right off the bat, then you’ll have to look at Litter Robot. Look, it is one of the higher end models on the market at the moment (I will do a more detailed review on it soon with more photos) but it’s the one that works the best. To be honest, I was sick of spending/wasting hard earned money on the boxes that just didn’t work. I wanted to buy an automatic litter box to make my life easier, not to deal with rakes being stuck, jarring noises and other forms of malfunction in the middle of the night with the other cheaper brands. 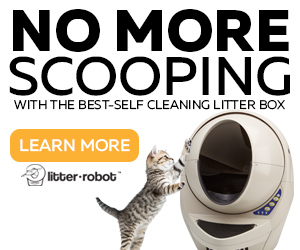 So if you want to move right on to the good stuff, check out Litter Robot. You can even get $25 off at the moment so it’s a good time to give it a chance. 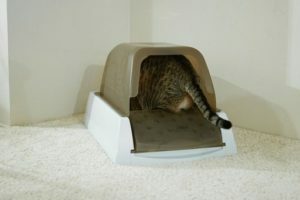 3 How Automatic Cat Litter Boxes Can Help? 3.4 Ultimate Luxury For Your Cat! 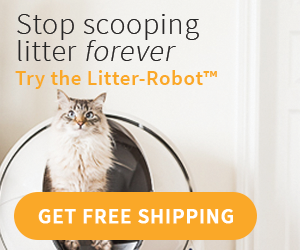 Get $25 off Litter Robot!Designed as an innovative solution to scooping, the Litter Robot Open Air is an automatic litter box which uses a rotating mechanism which sifts the litter, afterward dropping the waste into a drawer. This makes disposing of the bag incredibly easy. Another impressive automatic characteristic is the filtration system located in the vents, which manages to reduce any bad odors. Featuring an indicator light will allow owners to know when it’s full; this product is designed to accommodate every size cat, ranging from small to big. The Litter Robot Open Air has an integrated ergonomic chamber which incorporates a rubber mat aimed at reducing accidental spillage. If you’ve ever worried about your elderly cat not being able to see during night time, the Litter Robot uses a blue LED night which allows for increased visibility, helping make your four-legged friend more comfortable and secure. 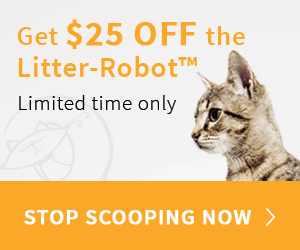 Get $25 off Litter Robot! My #2 recommendation if you want a self cleaning litter box that works great and is a bit more within your budget. Well-known as one of the most innovative litter solutions on the marketplace, the Cat Genie is a self-flushing and self-washing cat box. Containing 3 settings, the ‘cat start’ option detects if a pet has used it and cleans it automatically after 10 minutes. The ‘auto start’ ensures that it is cleaned four times per day, whereas the ‘push start’ is more of a manual flush in which you choose when cleaning should happen. For those who love the environment as much as their cat, the supplies used by this machine include biodegradable cartridges that both clean and sanitize, making for a safer environment for your pet. Featuring disposable litter trays with blue crystals meant to absorb any liquids and control smells, the Scoopfree is a unique automatic cat litter box. Owners now have the option of replacing the trays every month or so, depending on how many cats are using it. In regards to the mechanism used by this product, the rake automatically cleans and pushes any waste into a separate compartment, and can be programmed to do so 5, 10, or 20 minutes after your kitty uses it. This means that you can now adjust cleaning cycles, controlling the odor depending on your preferences. Is this automatic box suitable for multiple felines or just one? What is your budget? You can get some cheaper automatic boxes or you can get more expensive ones with all the fancy bells and whistles. 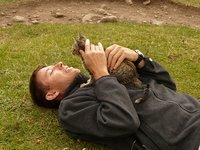 How big or small is your cat? You need to think about the size of the self cleaning litter box you want to get. How much space do you have? If you live in a smaller apartment unit, you might need a smaller, more compact one. Also, where will you put it? Every cat is different and every kitty owner’s situation (and budget) is different. So do consider these questions before you dive in! What might work for one owner might not work as well for another owner. 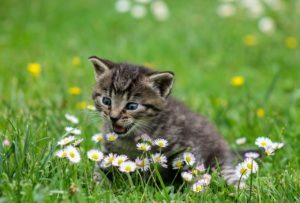 How Automatic Cat Litter Boxes Can Help? 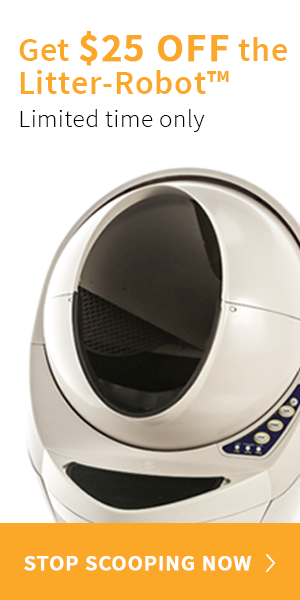 Perhaps you’re wondering if you really do need a robot litter box. It may seem over the top, but there are certainly tons of benefits. On top of all the endless work to do each day, plus the long to-do lists of managing a home, there are more things like social commitments and family life. Who wants to waste even more time cleaning their cat’s self cleaning box? And why would you do it manually when there are so many automated, efficient and not to mention, pretty affordable options out there now? It’s just one of those things that nobody enjoys and is better off being done by a ‘robot’, so to speak. In my small apartment, there was no other place but to put the automatic cat box in my room. I hated the smell obviously. These self-cleaning ones help to get rid of the lingering stench. When you don’t have to scoop, you don’t have to mess with urine soaked litter, harmful bacteria, or dust. You would know that these expose you to harmful germs and can causes sicknesses. Especially when you have children, you’d want to keep a hygienic environment for everyone. Not to mention, it’s a lot more hygienic for your cat too. Ultimate Luxury For Your Cat! Yes, these cats are funny creatures! They don’t ask for a lot but according to PetMD, some cats just don’t really like their average, boring self cleaning boxes (especially if you, the owner, doesn’t find time to empty it out regularly enough!). Some cats like more privacy, and won’t go if you’re watching. There are lots of hooded designs you can purchase to combat this. My pet won’t go in his self-cleaning box if it’s not up to his standard. If you have a fussy cat like mine, make sure you get one that really cleans well. Cats dig, and some kick litter right out of the box. High walled attachments or designs solve this issue so you might want to keep a lookout for that. My cat is a little skittish, so I couldn’t get him something too loud. If your cat is the same, be sure to get one that’s quieter. Cats tend to do loose stools when they’re ill. Most robot boxes can’t handle that unfortunately. There are a few select models that can though. So if your cat suffers from specific health issues that causes it to have loose stools quite regularly, this is something you’d need to consider. You would think your cat would be at least appreciative after you’ve spent a small fortune buying a good self cleaning cat litter box for it. Unfortunately, not all cats will give you a grateful purr! However, try to understand it from your cat’s perspective. Most of these automatic boxes are run on electricity while some are operated by battery. Plus they usually have motors or rakes. Put all that together, and you will very likely get a bit of a jarring noise when it has to self clean. For most cats, this can be frightening and they might even reject the frightening self cleaning automatic litter box completely. Fret not though and try to be patient. 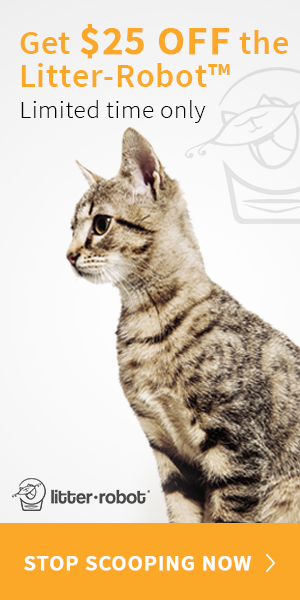 If your self cleaning automatic litter box has a hood, you might be able to remove it. Or perhaps, try the opposite and keep it on. Test and experiment to see what is better for your kitty . Also be sure to have one that is big enough for it to enter and remain in comfortably. Try to ease your kitty into it by taking slow steps such as putting some of its feces or urine into the box. This will help signal to your cat or gently entice it to do its business in the new self cleaning box from now on. Another tip to try is just to leave the new box (unplugged) for a while. Let your cat get used to it and not be afraid of it first. After your kitty seems comfortable enough to enter, you can just plug it in and let the box do its work. Be sure to see how your kitty responds to that. 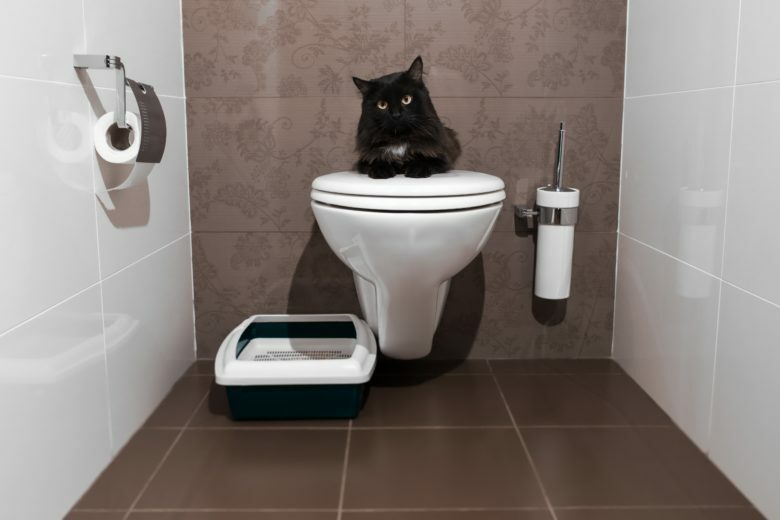 It can definitely be tricky to pick out a self cleaning litter box, given so many options out there. Pick out any one of these to start with if you have completely no idea! Either way, a proper box will be a huge improvement for your home life. 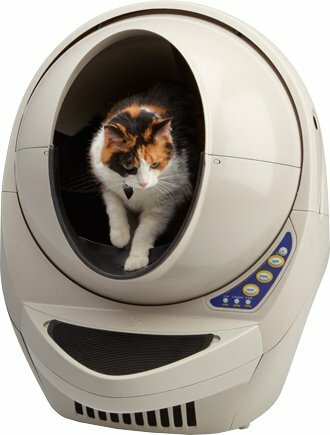 If you want to know my number #1 self cleaning cat litter box recommendation, you’ll have to check out Litter Robot. Seriously, it’s the best tech you can have for boxes these days and it’s a real game changer – worth every bit. You can even get $25 off now.